- Get Golden Dog Statue (worth 5,000,000 silver) from fishing, gathering and grinding. - Enjoy a combat/skill exp boost! Desert debuff event has ended. [Event]Yona’s Shards will be dropped in the Valencia region for the crafting Yellow Accessories event. A system message that will tell you the action that the character can do within the following stance has been added. - Sitting, Lying Down or Crouching, Walking, Standing by while swimming. Skill descriptions of Pulverize and Flow: Tempest have been edited to match the actual skills. 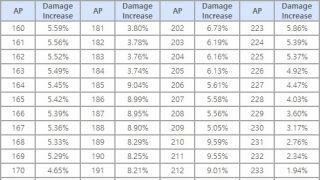 Basic AP at level 60 has increased by 6 on average. - In order to keep PvP damage same as before, PvP damage has decreased by 1.44%. Flow: Cry of Darkness will consume 5 Shards instead of 10. Amulet and Talisman will not be visible in Awakening stance. The animation when the Sorceress switches to Amulet using Awakening: Cartian’s Scythe has become more dynamic. Fixed the graphical glitch with Le Vladian Underwear. Fixed an issue where the Maehwa could not get Absolute: Decapitation when she has Decapitation IV. Fixed an issue where Frost Pillars and Flow: Tip of an Iceberg could not hit the full AoE. Fixed the animation glitch with the special emote for the Kibelius costume. Skill description of Flow: Block Jump has been edited to match the actual skill. The 1st hit of Throwing Kick will not deal less damage in PvP anymore. The same rule is applied when you use Throwing Kick by entering additional commands while using Block Jump. Graphical effects for buffs will not be visible during Concealment. The Kuno can now use Lunar Dash by right clicking while sprinting in Awakening stance when the buff from Target Chase is on. Fixed an issue where the camera would not rotate after using Ninjutsu: Block Jump when Crimson Eclipse is on. Fixed an issue where the Mystic would stop moving after all stamina has been consumed by sprinting with the Sea Dragon buff. The Lahn’s Awakening Weapon, “Blood Flow Blade”, has been added. 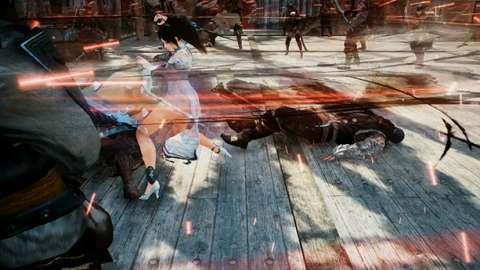 The damage that the Lahn takes from other characters has been reduced by 3% to 7%. Skill effects of Pendulum Waltz (Shift + Space mobility skill) have changed. You can now rotate the camera while using Stigma of Scent (Left click during Pendulum Waltz). Fixed the graphical glitches with Grunil Gloves and Hercules Gloves. Fixed some animation glitches with social actions. Fixed the graphical glitch in the Pearl Shop preview screen. Fixed an issue where [Event]Coral Crown did not give Luck Level +1. You can now register 100 Ship Repair Materials in the Marketplace instead of 20. New items, “Asula Accessory with Lost Magical Power” have been added. 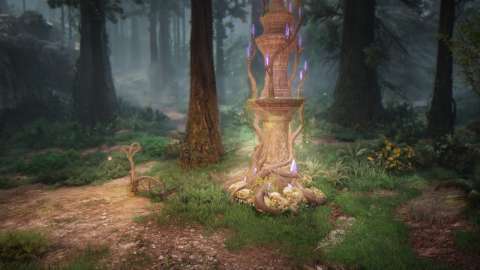 - The Lost Magical Power Asula Accessories can be used as enhancement materials for the Asula’s Crimson Eyes Accessories. 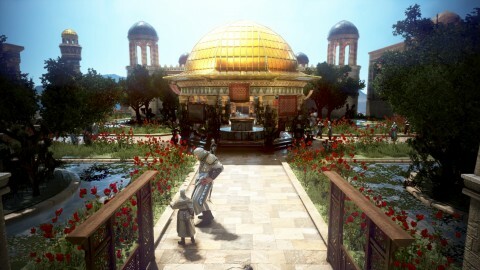 - Asula Accessories with Lost Magical Power are obtainable from certain grind spots in Valencia. 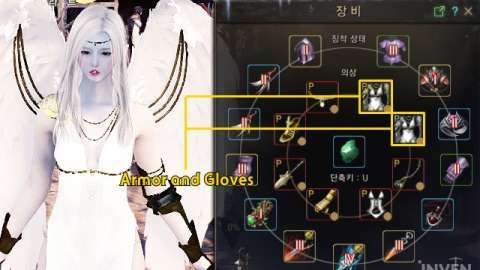 - Asula’s Crimson Eyes accessories can now be enhanced up to PEN(V). 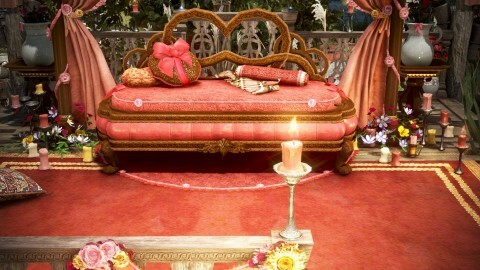 - Asula’s Accessory with Lost Magical Power of the same type are required as an Enhancement material. - Both accessories will be destroyed when the enhancement fails. You can now craft the following Yellow Accessories in Tier 5 Workshops in Altinova and Valencia City. - Ring of Crescent Guardian, Ring of Cadry Guardian, Centaurus Belt, Basilisk Belt, Serap’s Necklace, and Sicil’s Necklace. - [Event] Yona’s Shards are required. When registering an item that is not in the Marketplace at the moment, the individual selling price will be the max price instead of the most recent selling price. Right-clicking on Blacksmith’s Secret Book will open the Enhancement window. Marni’s Stones will be in different colors based on how many samples you have collected. Fixed the graphical glitch when eating a meal while sitting on a mount. Fixed an issue where Alchemy Stones were not used automatically in some occasions. When killing a monster, there will be a 10% chance that item drop rate will increase by 5%; the item drop rate stacks for each increase in Node level. 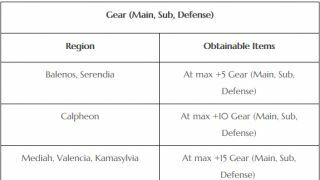 - If your Node Level is 10, you will get a 10% chance of getting 50% increased item drop rate. 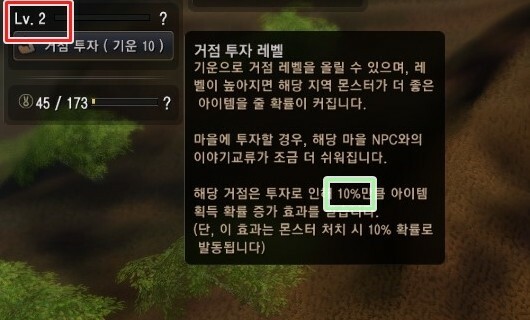 - “10%” here means that you will get the item drop rate increase in one in ten monsters. 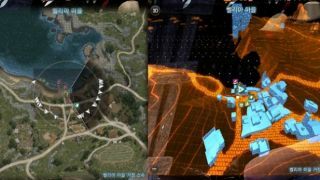 - This system is not applied on the items you get from party grinding and miscellaneous loot. New title, Wings of Destruction, has been added. 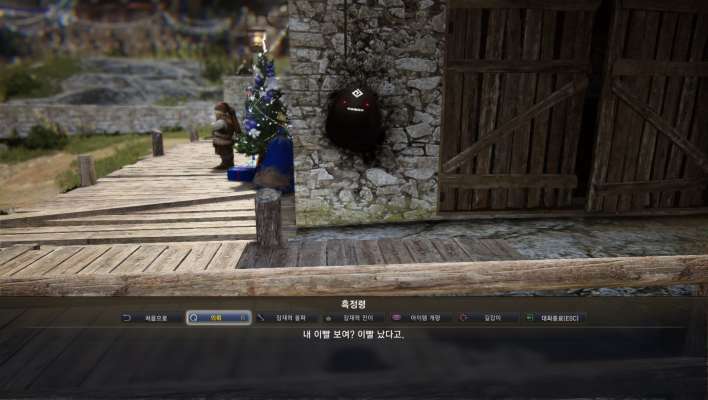 - Complete Lahn Awakening quests to obtain this title. 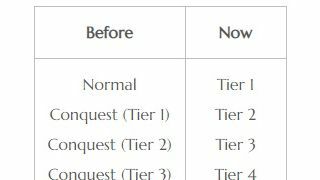 Upper AP Caps for the following grind spots in Valencia and Kamasylvia have been removed. Vision range of Lava Faolun has decreased by 50%, and the maximum travel distance has decreased by 25%. Fixed an issue where summoned allies could not damage Karanda and Kutum. World Boss Karanda will be invincible while high up in the air. 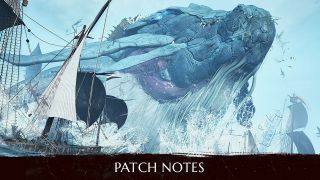 Fixed an issue where “additional damage to Kamasylvia monsters” did not work on Mirumok Watcher Offin, Watcher Offin Tett, and Ahib’s Griffon. Fixed an issue where the rock that a Saunil Immobile Catapult launched would not travel. 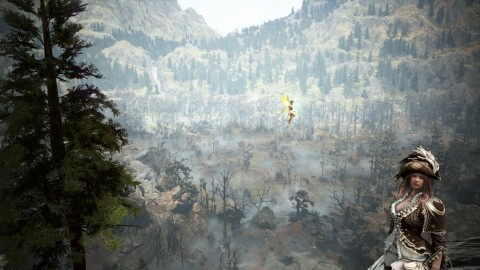 Lahn Awakening Quests have been added. You can now navigate to NPC Lizzie during the “Farewell to Arms, Back to Earth” quest. 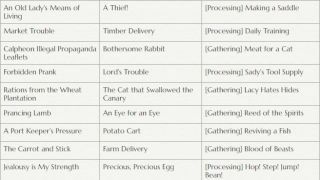 Fixed an issue where the following quests could not be started or deleted. - [Awakening Weapon] Make it Stronger by Enhancement! The following quests are not shared among all characters anymore (will be available for each character). 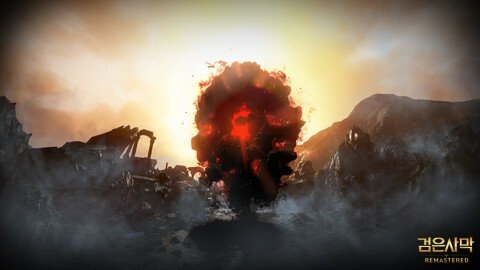 The following quests are now main Black Spirit quests. You can get the associated Knowledge by chance by killing the following Awakened bosses. - Red Nose, Giath, Bheg, Muskan, Tree Spirit, Hexe Marie, Narc Brishka, Ahib’s Griffon, Ronin, Urugon. Item drop chance based on Knowledge grade has changed. - You get 10 points for S-grade Knowledge, 5 points for A+, 2 points for A, and 1 point for B and below. - Item drop rate will increase based on the total amount of points you have. The drop rate increase is applied on all monsters. - You can check the drop rate buff you have at the bottom of the Knowledge(H) menu. - You will still have the original advantages of higher Knowledge, and will have the above change on top of that. 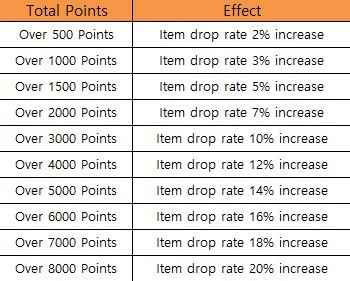 - The drop rate increase is not applied on the items you get from party grinding and miscellaneous loot. The hints for the Knowledges that you don’t have are clearer now. The chance of getting Grass Hedgehog Knowledge has increased. The NPCs are back to their original outfits. Fixed an issue where the quest icon above NPC Susanna was covered by the character. 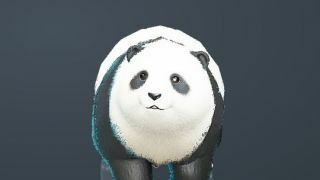 Level 1, 2, 3, and 6 Black Spirit will look more round and cuter. 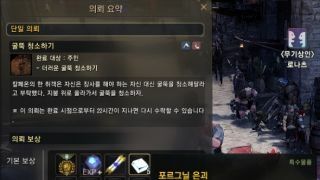 Weapons that Calpheon soldiers are holding will not disappear after they salute to Lords. Fixed an issue where characters would start fishing in non-water areas. The graphical effects from Black Spirit’s Training (afk leveling) will only be visible to you. Fixed the bug when entering Grana 2, second floor. Fixed an issue where shadow physics were bugged in low graphics settings. Fixed an issue where the auto-pathing route was clipped at the end. The buttons for “View Underwear”, “View Pets”, “View Maids”, and “Placement mode” have been relocated to the top of the screen. When a player who is not in a guild presses G, a window describing the benefits of joining a guild will pop up. Fixed an issue where the small window for Knowledge description would not go away. Fixed an issue where the example images that appear in the Settings-Performance-Graphic Quality menu were blocked by other windows. You can check the amount of item drop rate increase that you have for a specific node in the Node Information screen. - Put your mouse over the ? icon next to the node level on the top left corner to see the item drop rate increase you have for that specific node. ▲ "This node will have 10% increased item drop rate due to the node level. This buff is activated by 10% chance when killing a monster." A new system where you can set up your own hotkeys has been added. - You can set up your own hotkeys (Alt + other key) for Recharge Alchemy Stone, Find NPC, Check in all pets, and Take out Pet Group 1/2/3. Interface changes, Photo filter, and view angle will only change when you click on the Apply button. The sound when you use Horse Flutes has changed. The image of the world notification when World Boss Offin spawns has changed. The notifications for other players’ item acquisition, enhancement success, and enhancement failure will not show the notifications of your own character. 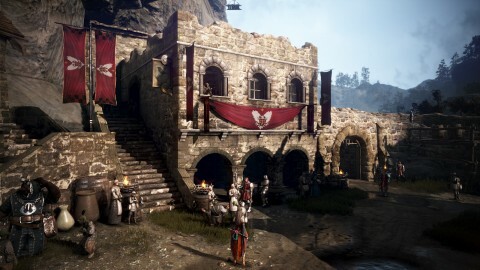 When you capture a screenshot with 4K resolution, all UI will be removed. 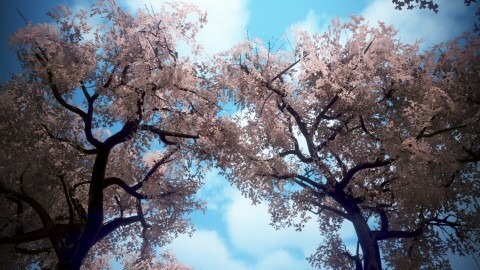 Fixed an issue where the saturation of high resolution screenshots and regular screenshots was different. Do i read that the right way? The more knowledge i got the higher my general item droprate becomes? Yes, you read it right! You’d get points depending on your Knowledge grade and this will have an influence on your item drop rate in overall, but not when you are in a party. Anybody have any stats on the enhanced Asula accessories? 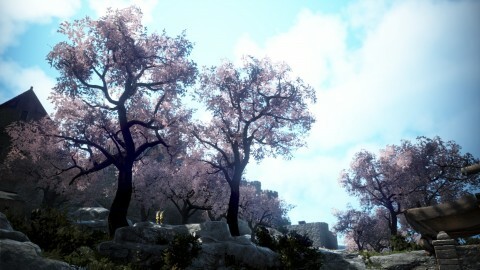 We are going to post an article with details on the Asula accessories. Please wait! Here's the link to the post about Asula Accessories! I can’t really say anything exactly because item drops would be different for everyone, but people say its drop rate isn’t that low. 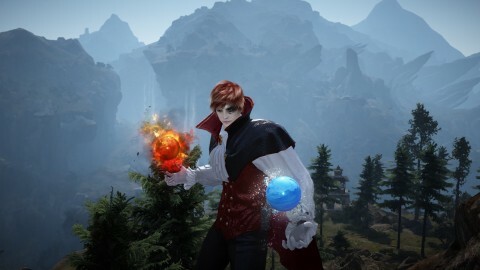 There are some people who say they just got one (based on 1 hour of grinding), and some say they got 6.
any info about next class after Lahn? hey! do miscellaneous items mean trashloot like "Feather Wolf Tail" or something like armor parts or blackstones or summoning scrolls? thank you! So it's better grind solo then in party. Because of the drop rate buff?